The shifting at midnight of the Jammu and Kashmir police chief, S P Vaid, has triggered an interesting debate in the state. The replacement surprised many although a few in the bureaucratic and police circles had been expecting the change sooner rather than later. 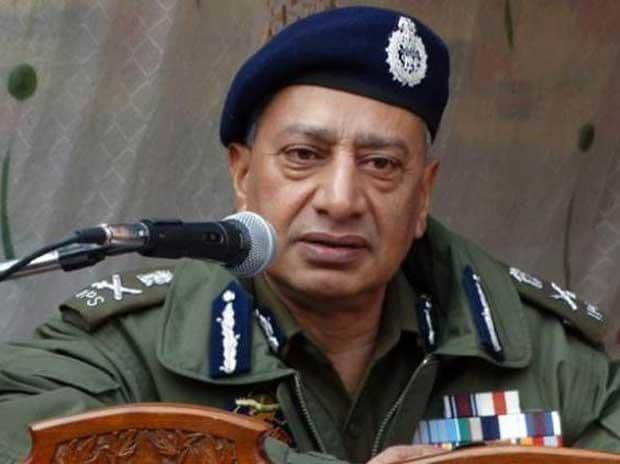 An order issued by the state home department around midnight on Thursday said, "Dr S P Vaid, IPS (JK:1986), DGP J&K is transferred and his services are placed at the disposal of General Administration Department for further posting as Transport Commissioner, J&K." "Dilbag Singh, IPS (JK:1987), DG (Prisons) shall hold the charge of DGP J&K in addition to his own duties, till a regular arrangement is made." The very drafting of the order indicated that the governor's administration wanted to see Vaid's back even if his shifting had to be achieved through an interim arrangement. The central point of debate in administrative and police circles is what went wrong with the functioning of the outgoing Police chief? Transfers and postings are the prerogative of the administration and there is nothing that should normally raise eye-brows about these developments. Yet, some administrative changes happen in a manner that controversies about such changes become unavoidable. Former Chief Minister Omar Abdullah reacted at length over Vaid's shifting. Taking to his widely followed twitter handle, Abdullah said: "There was no hurry to replace @spvaid. He should have been changed only when a permanent arrangement had been worked out." "@JmuKmrPolice has enough problems without having to deal with confusion of leadership. "Changing the DG is the prerogative of the administration but why a DG as a temporary arrangement? The current DG won't know if he's going to stay & others who would like his job will be trying to replace him. None of this is good for @JmuKmrPolice," Abdullah noted. There is no denying the fact that anti-militancy operations are the top priorities of the state police and no police chief can remain comfortably saddled if he is seen lagging on that front. Vaid had been proactively engaged in anti-militancy operations. He tried to remain in the forefront of patting his boys, announcing out-of-turn promotions for taking part in anti-militancy operations and announcing scholarships for children of police personnel and monetary relief to families of martyred policemen. There is a growing belief in bureaucratic and police circles that something somewhere went drastically wrong that cost Vaid his job and resulted in his unceremonious removal. Militants in south Kashmir areas abducted 11 persons, including three policemen, and eight family members of police personnel during two days last month. There was panic among the families of policemen, especially in the south Kashmir districts of Shopian, Kulgam, Pulwama and Anantnag. Two days before the militants began their abduction spree, police had detained the father of the most wanted Hizbul commander, Riyaz Naikoo. The abductions of members of police families were believed to be a revenge act for the detention of Naikoo's father. It was not for the first time that Naikoo's father had been taken in for questioning by the police about his son's whereabouts. The fact that the militants could retaliate in such a big way and afford abductions of policemen and their families without the state police having any idea about the hideouts where the abductees were being held dented the image of the police chief. What made matters worse was that the police released Naikoo's father from custody and within the next 10 hours of this release, all the 11 persons abducted by militants were safely released. There was no official word about it, but it was obvious that Naikoo's father had been released to secure the safe release of the abducted persons. Nobody even hinted at the probable swap that had taken place, but top sources said the central intelligence agency filed a report to the ministry of home affairs (MHA) that there had been a deal through which the safe release of the abducted members of police families was ensured. It is generally believed that the fate of the outgoing police chief was sealed the day the MHA received this report.